Joe Peyronnin is an associate journalism professor at Hofstra University, as well as an adjunct journalism professor at New York University. He is also a regular contributor to the Huffington Post, where he writes about politics and the media, drawing on decades of experience as a network news executive and Washington producer. In 1999, he founded Telemundo Network News and served as executive vice president until 2006. There he created and launched several Spanish language news programs, including Sin Fronteras, Noticiero Telemundo, Enfoque, and A Rojo Vivo. He led Telemundo to its first national Emmy Award for round-the-clock coverage of the terrorist attack on New York's World Trade Center. 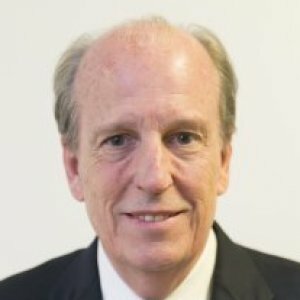 From 1996-98, he was a media and communications consultant at Osgood, O'Donnell & Walsh, advising corporate 500 firms on communications strategy. In 1995-96, he was president of Fox News, where he put together the core organization of what would become the Fox News Channel. He also created Fox News Sunday and oversaw several news specials. Prior to that, Peyronnin served six years as vice president and assistant to the president of CBS News in New York. As the division's number two executive, he oversaw global newsgathering and news programming, including 60 Minutes, 48 Hours, Sunday Morning, and The CBS Evening News. Before this, he served as CBS News vice president and Washington bureau chief for two years, and was heavily involved in the network's political coverage of the 1988 elections. From 1979-86 he worked at The CBS Evening News, first for Walter Cronkite and then Dan Rather, as a producer and then as senior Washington producer. He served as a White House producer during the Reagan and Carter presidencies, and regularly covered Congress, political conventions, and national elections. He also covered major international assignments, including all US-Soviet summits, economic summits, and Israel's 1981 invasion of Lebanon from Beirut. In 1984, he covered President Reagan's trip to China, Germany, and the Soviet Union, where he also produced a series of reports. During his broadcast news career he met every U.S. president from Richard Nixon to George W. Bush. From 1976-79 he was a Chicago based producer for the CBS Evening News with Walter Cronkite. Peyronnin first joined CBS in 1970 as a local news producer and assignment editor in Chicago. "By slotting Hannity at 9 p.m. Fox News is attacking MSNBC's strongest time period with the intention of peeling off some of their least loyal viewers," said Joe Peyronnin, a former president of Fox News and current Hofstra University journalism professor. "Hannity will likely verbally snipe and criticize Maddow, a la Trump, in an effort to weaken her ratings." The consensus in the TV news industry is that losing O’Reilly’s program — which averaged 3.98 million viewers in the first quarter of 2017 — could drive down ratings for the entire Fox News prime-time lineup by about 25%. Not everyone agrees. Joe Peyronnin, a former TV news executive who teaches journalism at Hofstra University, said the Fox viewers who are looking for a more conservative take on the news still only have one place to go and that O’Reilly’s departure won’t have dire consequences. “Fox News is a strong brand and the only game in town for millions of loyalists,” Peyronnin said. 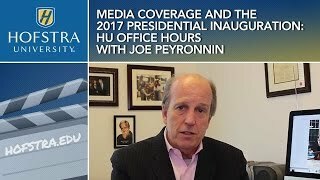 Associate Professor of Journalism, Media Studies, and Public Relations Joe Peyronnin talks predictions and advice for media coverage of the 2017 presidential inauguration.